Gwalior is regarded as a land of music. it is said that even when a child in Gwalior cries, it cries musically Regarded as fountainhead of Gharanas, Gwalior is the revolutionary and dynamic school of music. Over time different styles of music developed here, which found widespread acceptance. No wonder Gwalior was described as the cultural capital of India. The father of Dhrupad style Baja Man singh Tomar (1486-1516), founded Gwalior School of music. Baja Man along with the accomplished nayaks (scholar musicians) adorning his court, wrote a musical treatise Mankautuhal, established a music school in Gwalior Fort and innovated and popularized the Dhrupad style by using Brijbhasha, the popular language for the lyrics of the compositions. Baja Mansingh prepared the ground for musicians of Tansens stature about whom was said Bhuto Na Bhavishyati” (there never was nor will there be). The name of Tansen is inseparable from Gwalior. Even after Akbar the Mughal courts were dominated by the musicians from Gwalior. After the Tomar dynasty, the musicians received great impetus under the patronage of the Scindias who made Gwalior their capital. But by then, more than Dhrupad, it was the time of Khayal style. 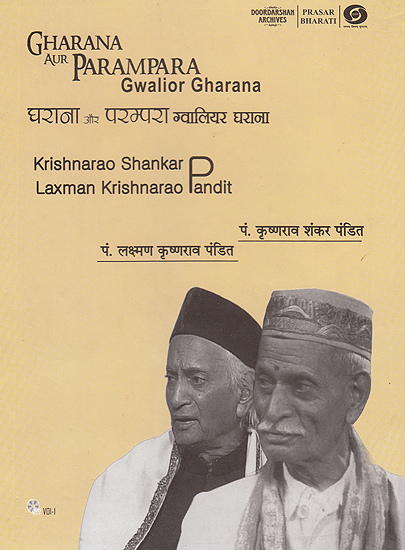 The Owalior singers, experts in Dhrupad, now played a revolutionary role in the shift from Ohrupad to Khayal style. Although, lchayal singing was not unknown earlier but they popularized it by introducing Astang Gayaki in the prevalentstyle. Ustad Nathan PirBaksh can righifullybe called the innovatorotflwalior Khayal style.Ouring the life time of tistad Hassu Khan, Ustad Haddu Khan and Ustad Nathu Khan, the Gwalior tradition reached its pinnacle. Gwalior became synonymous with music. It was considered a pilgrimage by music lovers and students of the country, who learnt the art according to their ability at their feet and fanned out from here, all over India and made Gwalior Gharana immortal. Gwalior has produced a galaxy of musicians, musicologists, composers and teachers. Besides khayal, Gwalior is well known for its rappa, Tarana, Ashtapadi, Thumri pada and its varieties. The Pandits of Gwalior who were Sanskrit scholars and keertankars imbibed the glorious legacy of the Gwalior tradition from the innovators of the Gwalior style and a seminal contribution in preserving. revitalizing and popularizing of the tradition. There being no descendent of the innovators of the Gwalior tradition, this legacy would have gone in oblivion but for the untiring effort, guru bhakt, sincerity, devotion, dedication, constant endeavor of the Pandit brothers. The great masters passed on their entire treasure of knowledge and compositions lothem Meeta Pandit represents the sixth in the unbroken lineage On her young shoulders rests the responsibility of over 200 years old family tradition.